The Ridley Noah Aero+ Ultegra Disc road bike incorporates years of experience in developing aerodynamic standards in the cycling industry. Synergies between experienced in-house R&D engineers and top sprinters in the pro peloton have led to industry-leading breakthroughs. Proven by world-class performances including André Greipel’s victory on the famous Champs-Elysées the Noah concept has become a synonym to aerodynamic performances. The new Noah Disc Aero+ has been given a major update compared to the previous generation Noah. Thanks to Ridley’s patented F-Steerer technology all cables are now integrated into the frame for a clean look and an ultra-aero performance. Wind tunnel tests prove that the incorporation of this technology reduced the drag around the frame by around 14%. 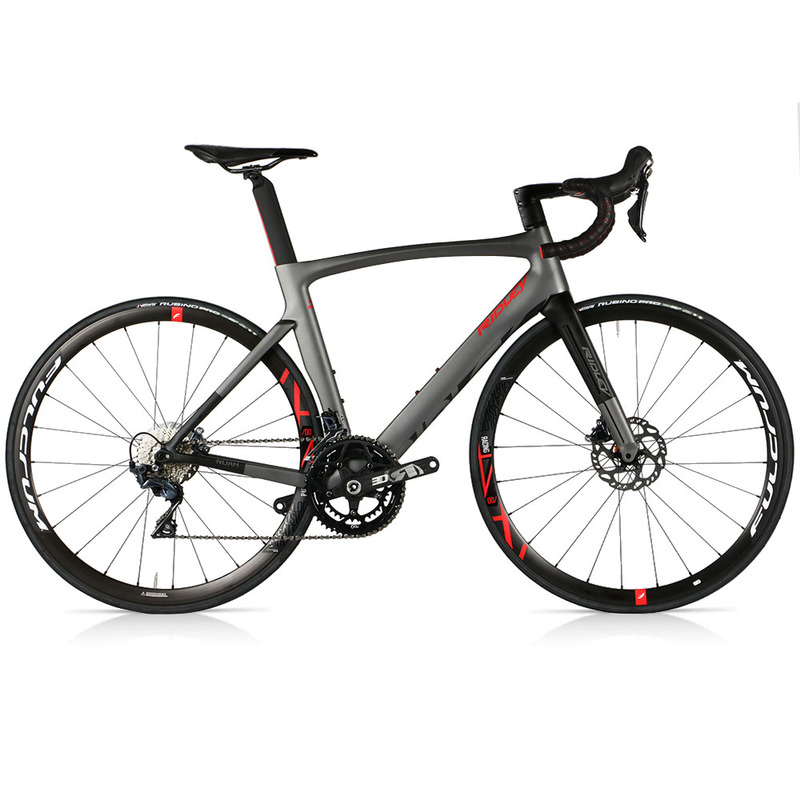 By adding disc brakes this bike not only gets you quickly up to speed and holds you there, but it allows you to expertly modulate your speed at all times – no matter the weather conditions.